There are times I want to explore near photo-realistic ancient temples, battling terrifying enemies with the aid of powerful magical artifacts. I have moments where all I want to do is spend hours building armies, evaluating troop strength and capabilities and devising strategies to take advantage of my findings. Sometimes I just want to find a pair of white spaceships on blue backgrounds. In times like those, Reuben Goulart's Mind Blitz is exactly what I need. Simple and clean, it's a memory match game that flirts with action puzzle elements when no one is looking. 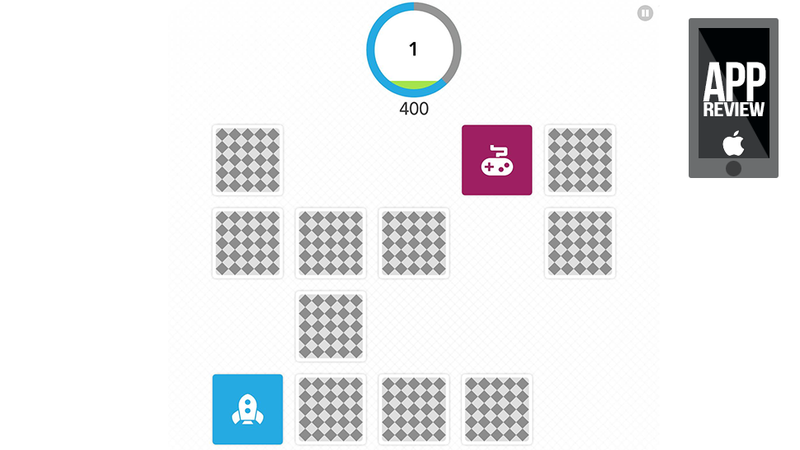 Initially, all the player has to do is match a pair of Symbolicons until all of the pairs are gone or the timer runs out. Once three boards have been passed the player may spend accrued power up points on special boosts that add time to their session, multiply socre or give players a penalty-free peek under the table. There are also penalty cards that show up on the board post-level three — time loss, card shuffles and one that resets the entire playfield. And that's it. That's all there is to Mind Blitz. No combos, no deep strategy, no explosions — just your memory versus a pleasantly stark screen. Perfect. We spend a lot of time praising mobile games that verge on console-quality experiences. Let's not forget about the mobile games that embrace the platform they are built on and don't clutter up the screen trying to be something else.